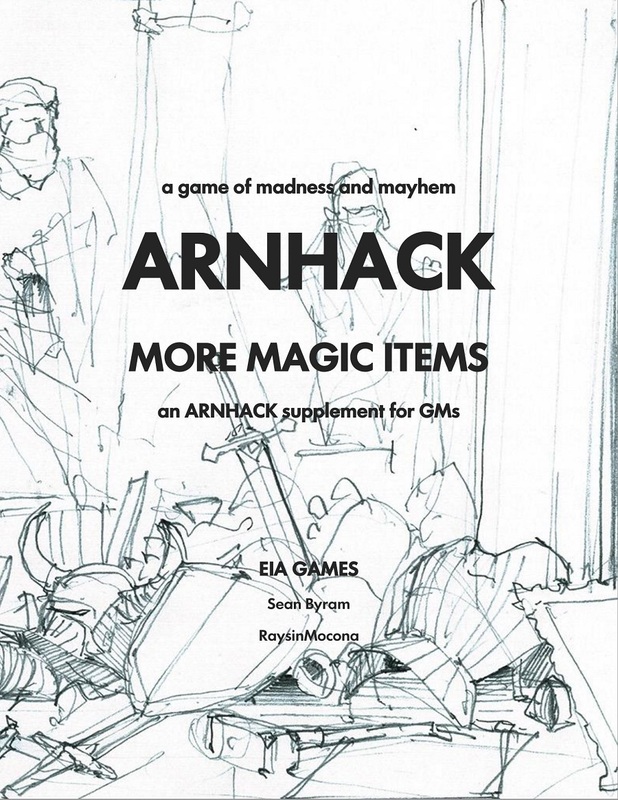 Cover of a new supplement for Arnhack, it should be through publishing in a week or so (apparently the folks at DriveThruRPG are at a company retreat atm, so publishing speed is affected). Pay what you want, of course. 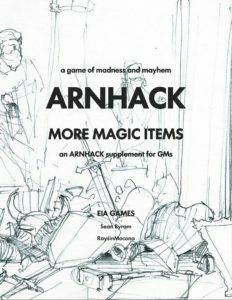 Does what it says on the tin, it’s more magic items for use in Arnhack. Cover art by RaysinMocona (patreon.com/RaysinMocona).